Myanmar, the holy land of the Buddhists, possesses many facts and mysteries unknown to the general public such men in skirts, people with white faces, the difficulty of money exchange and the scarcity of meat. If you are planning a trip to Myanmar, do not forget to discover these mysterious facts. Not being noisy, not agitated like the other countries in the world, travelers in Myanmar are fascinated by its idyllic beauty, its mysteries as well as its peaceful side. 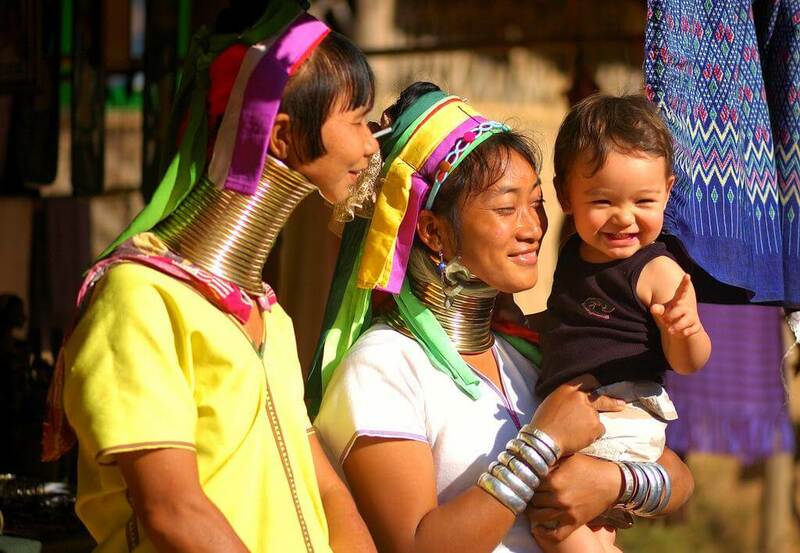 A Burma tour will offer you the opportunity to experience something unique. Being the largest and most dynamic city in Myanmar, Yangon attracts visitors with its unique colonial architecture. The city was also known as "London of Southeast Asia" with lines of cars crossing the city. In Vietnam, you will easily see the scene of noisy motorcycles. In Myanmar, on the contrary, it is difficult to see that. Cars are very numerous, so it is very common to see a traffic disruption. In your Myanmar trip, you may be most surprised by men in skirts here. Even today, Burmese men keep their traditions. In spite of old or young, they wear the Longyi, a simple skirt formed by wrapping a fabric around the body. Depending on gender, men and women have a different way of wearing it. For men, the large pieces of fabric are tied at the front, while those of the women are folded and sewn to a side. The Longyi skirt is a clothing solution against the extreme weather of Myanmar. In Myanmar, the cosmetics industry does not develop. Burmese women rarely wear make-up. Local people use only powder called Thanakha as a sunscreen. During your Myanmar travel, you will see faces still wet with this cream whose origin is natural. It is made from trunks of Thanakha trees that have been cut into small pieces and then crushed on a wet stone. Then, the powder is applied directly to the face to protect it against the sun. For women here, this cream is very effective. It is known not only a type of make-up but also the protection of the skin. In Myanmar, from women to men, the elderly to children apply this cream on the face during walks or at work. You can buy Thanakha as a special gift in your trip to Myanmar. In Myanmar, meat is considered as a luxury because the majority of people practice religions such as Buddhism, Muslim Catholicism. As a result, they do not eat pork or beef. Most people here are vegetarians; they often eat noodles, rice and cereals. Only in large cities you can find restaurants for foreigners. In Myanmar, unlike other countries, the use of credit cards is not widespread. Kyat, the domestic money of Myanmar, is widely used in everyday life. Many tourists bring dollars or euros to change at airports or banks. But it is recommended for you to bring new money, neither folded nor stained, because people will not want to take them. In contrast, Kyat currency in Myanmar is often old and most banknotes are damaged, but still acceptable for transactions. If someone says that it has nothing to do in Myanmar, they may make a big mistake. A trip to Myanmar will surprise you by its beautiful scenery and unique costumes. It's up to you to discover it!